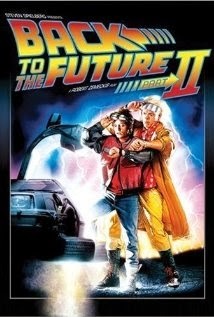 According to Baz in today's Mail the musical version of Back To The Future has been "put on ice" just as workshops of the show were due to be staged following behind-the-scenes ‘creative differences’ between director Jamie Lloyd who has withdrawn ‘amicably’ from the show and Bob Gale, who wrote the 1985 film and its two sequels, disagreed over the production’s direction. Lloyd said his decision to withdraw was ‘just a case of wanting to stand by my vision’.‘You absolutely have to believe in it or there’s not much point,’ he said. Gale will now write the version of the show that he favours, and send it out to directors later next year. The movie featured Michael J. Fox as high-school student Marty McFly who’s also a budding rock guitarist. But his parents are losers and Marty hasn’t got much of a future. Until, that is, he is hurled back in time by crazy scientist Doc Brown — played by Christopher Lloyd — to when Marty’s folks were in high school. The musical had been expected to open in the West End next year, but will not be ready now until at least 2016. The American actor Roger Bart had been in informal talks about playing Doc Brown in the show. Jamie Lloyd, meanwhile, has jut directed Martin Freeman in Richard III at Trafalgar Studios, plus he’s busy re-casting The Commitments at the Palace Theatre, and transferring satirical comedy Urinetown The Musical to the Apollo.